Last year's Super Bowl XLIX was definitely one to remember. Apart from the outcome of the match on field — a last gasp interception to give the New England Patriots a win over the Seattle Seahawks — Katy Perry's halftime show provided us with some of the nights' most memorable moments. 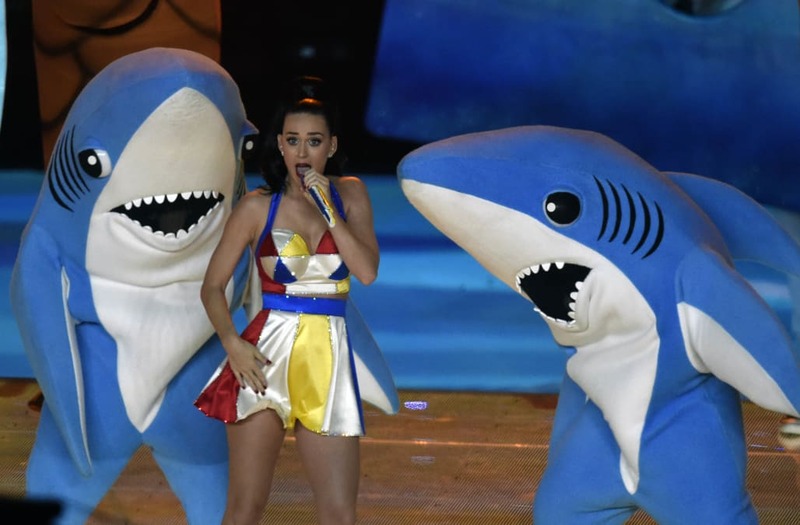 The infamous performance of Perry's "Teenage Dream" saw her stage set get rushed by a duo of dancers in giant shark costumes. While one of the sharks complied with the choreography, the now-legendary "Left Shark" dancer seemed to be in his own world, completely ignoring the rest of the set. Three years later, NPR has caught up with Left Shark for a hilarious interview. Left Shark, who's real name is Bryan Gaw, talked about how he went against the set choreography of the performance and opted instead to do his own thing. "So there's a set choreography, there's also what's called free-style choreography, or, like, you get to move around or play your character as a dancer. ... I'm in a 7-foot blue shark costume. There's no cool in that. So what's the other option? Well, I'm gonna play a different character," Gaw told NPR. Gaw explained that he gets nothing but love for his sensational antics, and NPR reported that he even puts his goofy achievement on his résumé.